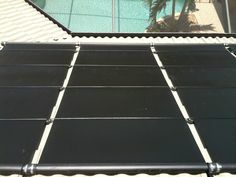 The heat of summer is still upon us, but fall has arrived and solar pool heating season is right around the corner! October 15th traditionally starts the solar pool heating season, but it seems to be getting earlier and earlier every year. The phone starts ringing off the hook as seasonal residents flock back to Southwest Florida and year-round residents find pool temperatures dropping. People like their warm pools — getting and keeping them warm is what we do! Shorter days and cooler nights result in significantly lower pool temperatures, especially for uncovered pools that lose lots of heat to the evening sky. Warm daytime temperatures and cooler water temperatures make pools feel relatively cold, reducing enjoyment significantly. The initial shock of getting into a cold pool when the ambient temperature is high stops many people from taking the plunge. Solar heated pools, however, reduce this relative difference in temperature, making pools feel warm and inviting as temperatures steadily drop through the fall and winter months. We also see quite a few people struggling to turn their systems back on after the long, hot summer, especially for solar pool heaters without automated temperature controllers. Valve positions can be confusing if you don’t frequently use them. For a review of our most common valve setups, click here to learn how to turn your solar pool heater on or off. 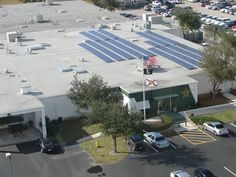 New customers, some who have only recently moved to the area, see solar pool heaters all around their neighborhoods and wonder why they are so popular in Southwest Florida. As solar pool heating season rolls around, it becomes very apparent. As much as solar pool heating has become a year-round business, there is definitely an uptick in inquiries starting in October, and we get busy very quickly. 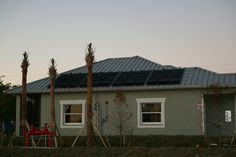 While installation time-frames rarely stretch out more than a few weeks, buyers will definitely wait a little longer to get installations completed (due to permitting, especially in some areas, there is always some lead time). The best solution is to get yours ahead of the rush so you can maximize your enjoyment throughout the season.